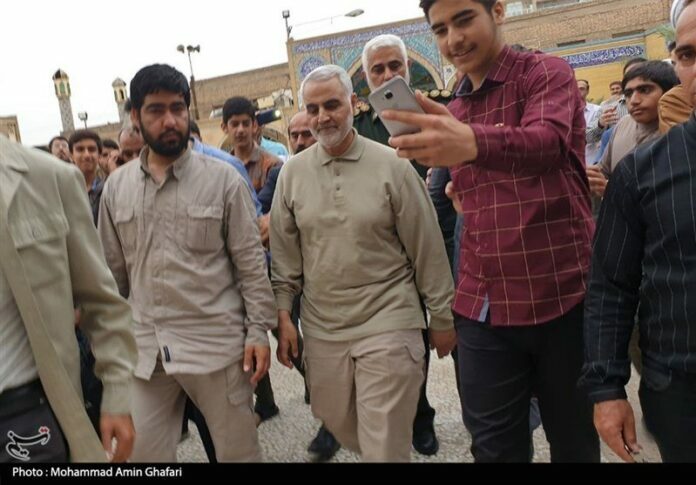 General Soleimani made the remarks during a visit to the flood-hit areas of Khuzestan province. He said that helping the people of Khuzestan is like defending the holy shrines in Syria and defending the Iranian territory during the eight-year war against Iraq. “At the moment many youths are insisting to be deployed to Syria to defend the holy shrines, but helping people in Khuzestan is the same as defending the holy shrines because nothing is more important than preserving the dignity of a human being,” added the senior commander. Flooding swamped northeast Iran in mid-March before spreading to the west and southwest of the country later in the month. Heavy rains brought more floods to the west and southwest at the start of April. One of the worst-hit areas is southern Khuzestan province where fresh flood warnings have been issued to the people. Evacuation orders remain in place for homes near river banks and in areas at high risk of flooding. Large areas remain inundated as the affected citizens are trying to cope with the situation.